The Stevens Math Olympiad is a free mathematics competition for students in grades 3-12 that entails solving mathematical and logical problems, as well as demonstrating the joy and excitement of mathematics. 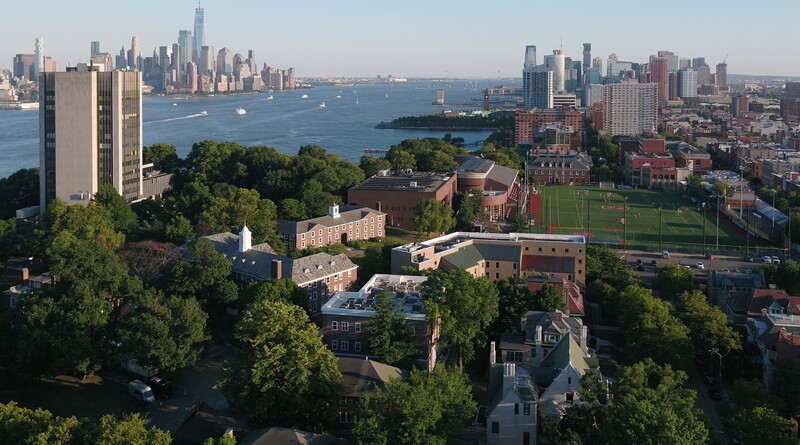 This year's Olympiad will be held on Saturday, May 18, 2019 from 10:00 a.m. to 12:30 p.m. on the Stevens Institute of Technology campus in Hoboken, New Jersey. Students will be offered 15 problems to solve in five divisions: grades 3-4, grades 5-6, grades 7-8, grades 9-10 and grades 11-12. An awards ceremony will be held on Saturday, June 8, 2019 to recognize the top scorers in each grade. Students in grades 3-8 should check in between 9:30-9:55 a.m. at their assigned testing rooms. Room assignments will be emailed to all confirmed attendees closer to the event date. After listening to the remarks, students in grades 9-12 will be escorted from DeBaun Auditorium to their assigned testing rooms and checked in for a 10:30 a.m. start time. Parents/guardians should be available in DeBaun Auditorium by 11:20 a.m. The Math Olympiad will conclude after testing has been completed, which can vary depending on the student. Once finished, students will be escorted back to DeBaun Auditorium for pick-up. John Overdeck is the co-founder and co-chair of Two Sigma Investments, LP. He began his career at D.E. Shaw & Co, where he rose to managing director. John subsequently spent two years at Amazon, first serving as vice president and technical assistant to Amazon founder Jeff Bezos. He went on to lead customer relationship management at Amazon, directing Amazon’s renowned personalization, community and targeted marketing features and technology. A lifelong math enthusiast, John won a silver medal for the United States at the 27th International Mathematical Olympiad. He earned a B.S. in mathematics (with distinction) and a M.S. in statistics from Stanford University. In addition to being involved in his family’s charitable activities, John serves on the boards of the Institute for Advanced Study, the Robin Hood Foundation and the Hamilton Insurance Group, and he is the chair of the National Museum of Mathematics. In 2017, John was honored by the Academy of Achievement for being a pioneer in technology and investment management. This event is FREE, but participants are required to register and complete the 2019 Math Olympiad consent form. Participants must submit ALL pages of the consent form to successfully register. Online registration will close on Monday, April 29. Below are some suggested materials for students looking to do preparation problems ahead of the Stevens Math Olympiad. The Mathematical Circles Library, which contains a number of volumes on problem solving for various grade levels. These books are not free, but many are reasonably priced. Problems and solutions from the American Mathematics Competitions. These problems are for grades 8-12 only but they are freely available. The website also links to further resources for preparing for a mathematics competition. We gratefully acknowledge financial support from the Mathematical Association of America and from the Alfred P. Sloan Foundation.